Students are encouraged to use the Webb Student Center as a place to talk, eat, and relax. The area provides an opportunity for students, faculty, and staff to socialize in an informal atmosphere. Ping-pong and wide screen television are available in the Webb Student Center. No food or drink is allowed in the recreation room. Individuals who need a quiet place to study should use the Learning Resources Center in the Snyder Building. Socials, cookouts, and other leisure activities are planned for both day and evening students by the Student Government Association. Each Monday and Wednesday from 12 noon until 1 p.m. is blocked for activity hour. Students are encouraged to participate in SGA and/or other clubs and organizations. 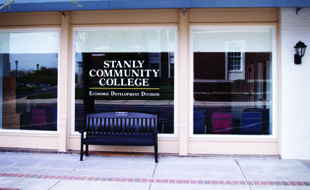 The Student Government Association is composed of all curriculum students who are enrolled at Stanly Community College. Members are encouraged to be active participants in student affairs and to voice opinions and thoughts through their representatives. All extracurricular activities are coordinated through the Student Government Association and the Academic Affairs Office. During the spring term the president and other Student Government Association executive officers are elected. One representative is also elected from each campus club. An administrative advisor and faculty advisors serve to assist the Student Government Association with its activities. The Student Government Association sponsors activities that enhance student campus life. Students are involved in school affairs with active participation on various advisory and standing committees. The President of the Student Government Association serves as an ex-officio member of the Board of Trustees. The Stanly Community College Student Government Association actively participates in the North Carolina Comprehensive Community College Student Government Association (N4CSGA). Student clubs and organizations are chartered under the umbrella of the Student Government Association and represent a large number of students with diverse interests who are active on campus. These include Biomedical Equipment Technology Club, College Transfer Club, Cosmetology Club, Criminal Justice Club, Early Childhood Club, Human Services Club, Medical Assisting Club, Medical Laboratory Technology Club, Multicultural Club, National Society of Leadership and Success, Nursing Association, Phi Beta Lambda, Phi Theta Kappa, Radiography Club, Respiratory Therapy Club, and Student Government Association. 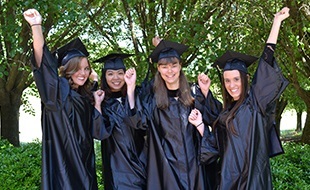 Phi Theta Kappa: Phi Theta Kappa is a 75-year old honor society that was founded to recognize and encourage scholarship among two-year college students. The society awards numerous scholarships and presents opportunities for students to demonstrate excellence in a variety of formats, such as Phi Theta Kappa’s Honors Programs, leadership conferences, and annual conventions. In addition, each member will wear the Phi Theta Kappa gold stole and tassel during graduation ceremonies, will have the gold seal on diplomas, and will receive notation of membership applied to the student transcript. Membership in Phi Theta Kappa is a highly coveted honor that will enrich the student’s life while attending Stanly Community College and will remain a prestigious part of his or her professional life as further education and/or career goals are pursued. Students must earn a 3.75 cumulative GPA, must maintain a 3.50 GPA, and must have completed 15 semester hours of credit at SCC toward an associate degree to be invited to join Phi Theta Kappa. National Society of Leadership and Success: The National Society of Leadership and Success was chartered in 2011 to recognize students who have achieved the standards of membership for this organization. The Society is an organization that helps students discover and achieve their goals. The Society offers life-changing lectures from the nation's leading presenters and a community where like-minded success oriented individuals come together and help one another succeed. The Society also serves as a powerful force of good in the greater community by encouraging and organizing action to better the world. Students are invited to join the society based on their GPA. 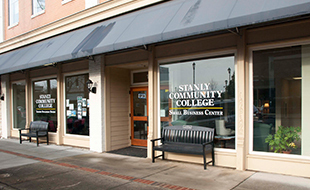 Students at Stanly Community College may exercise their freedom of expression through faculty/staff-sponsored newspapers, newsletters, and other publications. All publications must be approved by a faculty/staff advisor and the office of Student Development. A hot food service is located in the Webb Student Center. Canteen Corporation contracts with the College and operates the service Monday through Thursday from 8:00 a.m. until 1:30 p.m. and on Fridays from 8:00 a.m. until 12:30 p.m. There is no hot food service provided between semester breaks. Vending machines are also located in the area for the convenience of evening students. The College maintains no health facilities other than first aid kits. The kits may be found in all shop areas and in the Student Development Office. Injuries requiring more than minor first aid will be referred to local physicians. In case of emergency the College switchboard operator should be notified, who may then call a physician or ambulance service at the student’s expense.